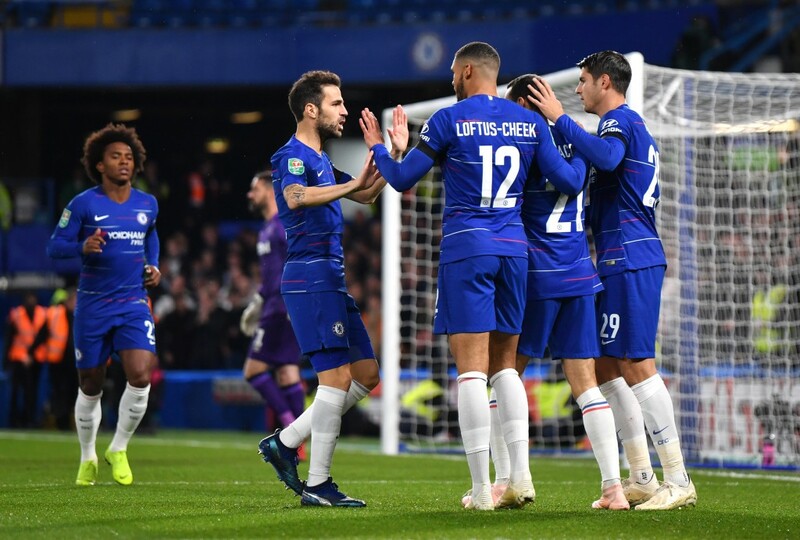 Chelsea emerged unscathed, albeit only narrowly, as they beat Derby County 3-2 to progress into the Quarter-Finals of the Carabao Cup. The match started in horrific fashion for Frank Lampard. 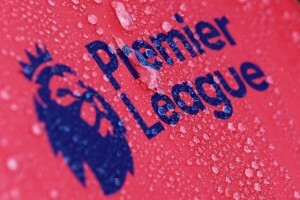 Chelsea allowed Derby County the permission to field their on-loan players. Fikayo Tomori repaid the decision, slotting the ball unceremoniously into his own net to hand Chelsea the lead. Derby soon equalised, thanks to a good finish from Jack Marriott. The own goal horror was soon to return though, as Richard Keogh deflected the ball into his own net from a Davide Zappacosta cross, as was the case for Tomori. Lampard though, would have been delighted with his side’s response, who equalled thanks to Martyn Waghorn, who got himself on the end of a Mason Mount cross. In what was a flurry of a first-half, Chelsea soon regained their lead, this time on their own accord. Zappacosta could not get a grip on the ball inside the box and it fell to Cesc Fabregas, who slotted it into the back of the net. The second half was mostly all Derby County, who had several chances to get back level. 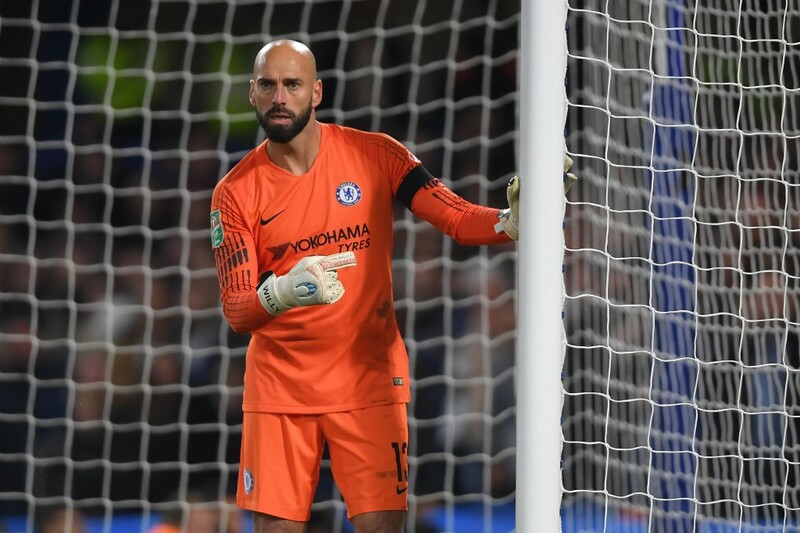 But, Willy Caballero stepped up to the occasion and ensured Chelsea’s passage into the Quarter-Finals of the Carabao Cup, where they are scheduled to meet Bournemouth. We now take a look at how the individuals fared for the home side. Despite leaking 2 goals, Willy Caballero was at the top of his game, especially in the second half as Derby County pressed on in search for the equaliser. If not for a couple of brilliant saves from him in the second half, we could have seen a very different ending to the game. His attacking prowess has been unmatched on the pitch, whenever he has been included in the starting eleven. On Wednesday, he was the same meandering right-back that he normally is. Zappacosta had a hand in all the three goals. While the first two were own goals, they were courtesy of Zappacosta’s crosses. Got credited with the assist for the third goal, even though it was unintended. Could have done a little better on the defensive front as both the goals were from his end. But, all in a day’s work. Another strong performance. 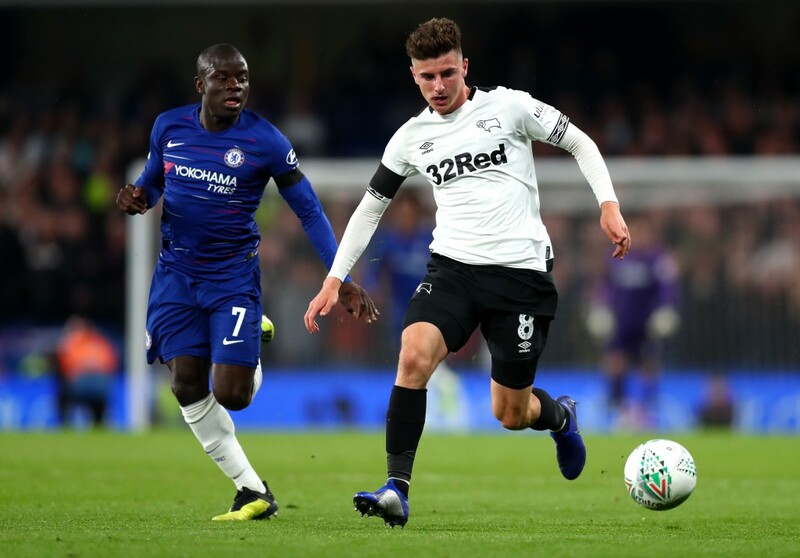 The defence was the grey area for Chelsea as Derby County managed to slice through them on multiple occasions. Made no successful tackles and had no interceptions throughout the game. Was mostly a passenger in defence at times. His passing was on point though. Unlikely to improve his chances of becoming a regular. While his partner was at times, wretched in his performance, Andreas Christensen did his job well. Had 3 tackles and 2 interceptions to his name. The towering defender though, lacked aerial dominance, like his usual outings. Decent but with room for improvement. How many times have we talked about Emerson Palmieri and his inability to provide the finishing touch or the end product. The marauding full-back showed promise again. But, his crossing remains wayward and he needs to improve on material contribution towards the team’s victory. Kante’s attacking contribution, something that has increased under Maurizio Sarri, was nowhere to be found. With Derby County overloading the midfield at several points, Kante was left mostly to do the dirty work in midfield, which he did. No real complaints from his performance except the fact that more is expected from him, after the standards he has set for himself. Maurizio Sarri has managed to find the perfect alternative to Jorginho within the Chelsea first-team setup, that too without spending much money. Fabregas kept the ball ticking while being adventurous whenever needed. Took the loose ball well and showed his positioning sense as he slotted it into the back of the net to restore Chelsea’s lead, a goal that turned out to be the match winner. Starry performance. Kovacic did not do much of note on Wednesday. But, the Real Madrid loanee was a trier. Kovacic never shied away from venturing forward, completing 3 dribbles in the process. But, his attempt was either wayward or blocked by Derby County. Still, Kovacic will be egging to see if he has done enough to be in the starting eleven in the coming game. With 4 goals in 2 matches, expectations were high from Ruben Loftus-Cheek, especially with Maurizio Sarri deploying him in a rather attacking role out wide on the right. But, the Englishman was often found wanting, often dribbling too much and perhaps being a tad bit selfish. A disappointing display after the recent blitz. For major portions of the game, it looked like Alvaro Morata was frustrated to an extent. The Spaniard was clutching at straws and the couple of times he got the connection right, the keeper was up for it. Has been constantly ridiculed for his lack of confidence when it comes to finishing. Morata would hope it comes back to him sooner, with the January transfer window approaching. On a positive note, he did link up well with others and looked hungry to score. Willian’s deliveries weren’t as accurate as his recent couple of outings. But, the Brazilian was the most adventurous of the attacking trio. Brought on for Christensen around the hour mark, Luiz was decent at the back. Did shore up the defence but could not do much, with Derby County on full throttle. Not much of note. Was decent but hardly ever got a chance to meander forward with real freedom. Brought in to introduce fresh legs to tackle the Derby County attack. Not really impressive though, the cameo.